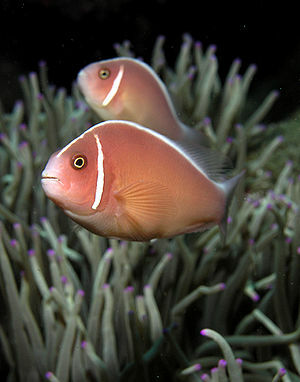 The Pink Skunk Anemonefish, or Pink Skunk Clownfish, is a fairly easy fish to keep. Being a hardy fish, it is ideal for beginners. It is bred in captivity and therefore readily available and inexpensive. 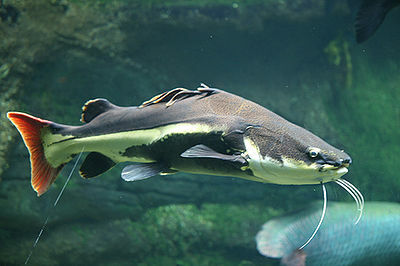 It is native to the Eastern Indian Ocean to the Western Pacific Ocean. The males are 2.75 in., while the females grow up to 4 in. Damsels and Wrasses can be aggressive toward them, and they can be quite territorial. The minimum size tank 13 gal. Feed these fish all kinds of live, frozen, and flake foods several times a day.